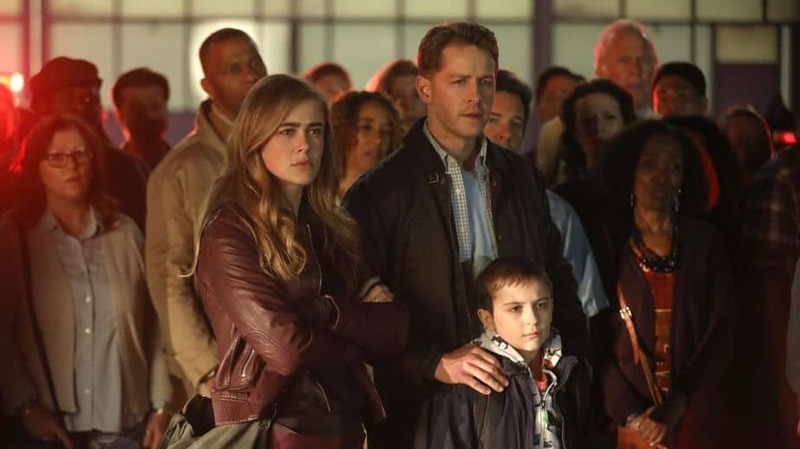 Manifest is a new series that will premiere this fall on NBC. Josh Dallas, who portrays Ben Stone in Manifest, described the series as “Lost meets This is Us.” The pilot episode was screened at San Diego Comic-Con on Preview Night and at the Manifest panel on Saturday, July 21st. The pilot episode offered a great promise of what is to come during the life of the series. Manifest is the story of Montego Air Flight 828, which reappears after disappearing five and one-half years earlier. The passengers on the plane believe that no time has transpired other than the time for a normal flight. For the family members, friends, and significant others of the passengers and crew, more than five years have passed. They have moved on with their lives but suddenly have to come to grips with the return of their lost loved ones. 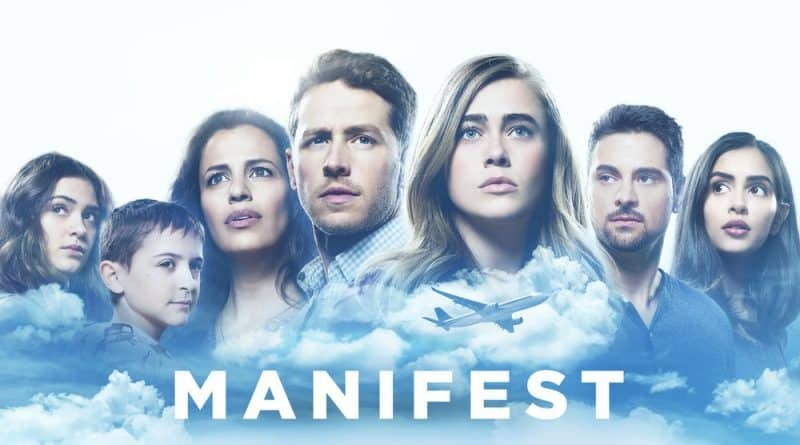 Here is the main cast of Manifest. Ben Stone (Josh Dallas)- a mathematician who is level-headed and logical. Grace Stone (Athena Karkanis)-the wife of Ben Stone. She is keeping a secret from her recently-returned husband and son. Olive Stone (Luna Blaise)- the daughter of Ben and sister to her twin brother, Cal. Jared Williams (J.R. Ramirez)-the former fiancé of Michaela, who is now married to another woman. After they return home, all of the passengers on the missing plane discover that they are mysteriously connected. But more importantly, they find themselves directed to act by a mysterious voice or compelled by mysterious urges to do certain things. This voice, fortunately, appears to be benevolent and their urges have benevolent outcomes, such as aiding someone in distress. Stars Josh Dallas and Melissa Roxburgh with Executive Producer Jeff Rake journeyed to San Diego Comic-Con to talk about the series. Both Dallas’ and Roxburgh’s knowledge and motivation for their characters was incredibly comprehensive, although they had only filmed a few episodes. Roxburgh hinted at a connection between her character’s accident and her being a passenger aboard the disappearing plane. She also said that the viewers would eventually see her accident in a flashback that would allow the audience to determine if Michaela’s guilt is justified. Roxburgh also talked about how each character approached the mystery of the disappearance and reappearance of the plane differently. Michaela Stone looked at the matter from a spiritual point of view while her brother, Ben, wanted to believe that there had to be a scientific explanation for the event. Roxburgh revealed to the roundtable that she really does not have a lot of answers at this point but one issue, which the series will explore, will be what a person would do if they had a second chance. She further added that with 191 people aboard the aircraft, there will be many stories to explore in future episodes. Josh Dallas explained that his character, Ben Stone, is a mathematician who needs to find a logical answer to what has happened to them. Before the flight, Ben Stone had been fighting to save the life of his son, who had incurable cancer. When they returned five and one-half years later, there was a possible cure for his son. Dallas admitted that he does not know the answer to the mystery of the disappearance and reappearance of Montego Air Flight 828. He wants to learn the answer at the same time that his character learns the answer. Dallas explained that Ben and Michaela Stone represent the constant struggle between the logical/scientific view of the world with the spiritual. He also mentioned there will be times when their different viewpoints complement each other. Jeff Rake, the executive producer was asked whether there is an answer to the mystery of Montego Air Flight 828. Rake assured us that the mystery will be solved. He explained to us that when he pitched the show to the network and production company that he needed to provide a roadmap to the end of the series before they would even listen to him. He has the series mapped out for six seasons! He knows how the first season will end and how the series finale will end. He also has mapped out the character arcs as well. Rake talked about how there will be three components to each episode: the event mystery, the relationship drama, and the procedural portion. The event mystery is what happened to the plane flight and those aboard the plane. The relationship drama will be about how everyone deals with this extraordinary event in their lives. The procedural portion will be about their mission of the week. The voice and the strange urges will provide direction to the returning passengers and crew members. These three factors will make for compelling television and great storytelling. Rake revealed to that he had been sitting on the idea of Manifest for more than ten years. The idea for the series crystalized on a vacation trip when he was stuck in traffic. He said that initially, no one was interested in the idea. However, the loss of Malaysia flight MH370 motivated him to pitch the idea again since there was a real-life event which had elements similar to his series idea. If you were a fan of Lost and if you love This is Us, then Manifest is the series for you. Jeff Rake knows where the series is going and if the network is willing, the fans will have a satisfying journey as the mystery of Montego Air Flight 828 is finally revealed. If the pilot episode is any indication, it will be an exciting and revelatory ride. 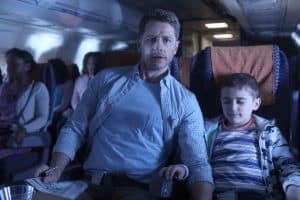 Manifest premieres on NBC on September 24, 2018 at 10 PM Eastern /9 PM Central.